Posted on April 14, 2010 at 15:25. I was asked a while ago to publish an open letter to the Portuguese MP’s of European Parliament signed by President of the Association of Ukrainians in Portugal, Pavlo Sadokha, President of the Association of Ukrainians in Portugal “Sobor”, Oleg Hutsko and the President of the Association of Ukrainians Algarve, Natalia Dmytruk. The open letter is a criticism against that the European Parliament adopted a resolution on 25 of February of 2010, starting “[d]eeply regrets the decision of the outgoing Ukrainian President, Viktor Yushchenko, is granted posthumously to Stepan Bandera, leader of the Organization of Ukrainian Nationalists (OUN)[…]“. It is not an easy task to write an objective analyze how European Union, Ukraine, Russia should deal with the historical legacy of Stepan Bandera. I therefore hesitaed in doing so, and instead I refer to an article at Kyiv Post, published on the 13 of April 2010. It is now widely accepted that the European project has contributed decisively to the economic and social stability of the continent and to promote freedom and equality of citizens in Europe. Its democratically elected representatives consider the main objective of the European Union to ensure the welfare and protection of citizens rights, and for that, and based on the lessons of history, rejected any form of discrimination (racial, ethnic, religious, etc.). However, this does not mean the denial of historical and cultural heritage of the peoples of Europe, oppositely, the preservation of national cultures and languages, and respect for the historical past are some of the essential prerequisites for EU membership. Speaking of historical past should be remembered that Ukraine never has any expansionist ambitions, and, oppositely, was the battleground of rival imperialist powers, with the consequent loss of sovereignty and national identity. 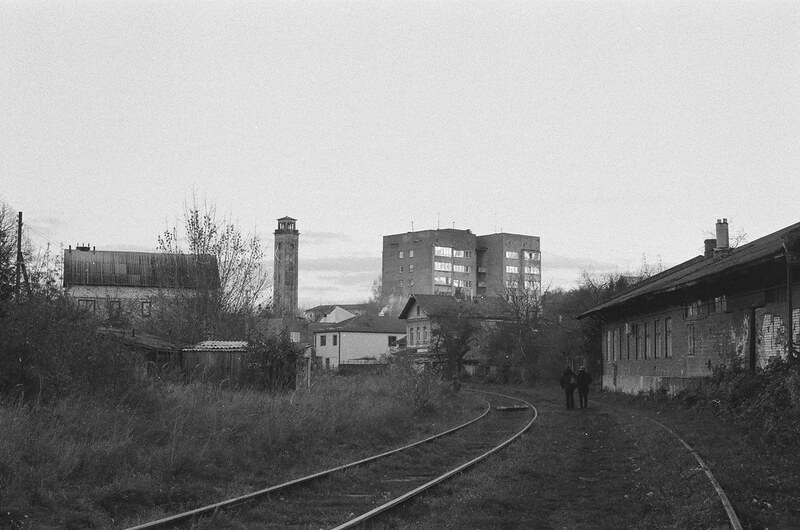 During the World War II following the Nazi and Soviet aggression, Ukraine lost about 7.5 million inhabitants and approximately 2 million of Ukrainians were deported to labor-slave activities to Germany. On the other hand, Ukraine, was also the scene of totalitarian tragedies, one example being the Great Famine of 1932-1933 (Holodomor) – qualified recently by the European Parliament of “horrendous crime against the Ukrainian people and against humanity” – that killed about 7 millions of Ukrainians as a result of famine caused by the Stalin dictatorship. At that time, the Organization of Ukrainian Nationalists (OUN), headed by Stepan Bandera, was forced to use the only language understood by a totalitarian regime and that could receive the attention of the international community: language of strength. On 22 of October of 1933, the Soviet consul in Lviv was killed by a militant of OUN in retaliation for the millions of Ukrainians decimated in the famine genocide. 20. Deeply regrets the decision of the outgoing Ukrainian President, Viktor Yushchenko, is granted posthumously to Stepan Bandera, leader of the Organization of Ukrainian Nationalists (OUN), which collaborated with Nazi Germany, the title of “National Hero of Ukraine” and expects that new Ukrainian leadership to reconsider this type of decision and reaffirm its commitment to European values. In this resolution, Parliament claims his right to indicate to Ukrainians how they should interpret their own history. Moreover, what is the basis of what decision? Is there any sentence issued by an International Tribunal to sentences Stepan Bandera or Ukrainian Insurgent Army (UPA) for collaboration with Nazi Germany? Have been carried out a thorough historical investigation of the Ukrainian independence movement? 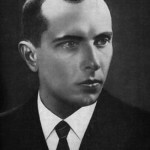 It is important to realize that Stepan Bandera symbolizes in an undeniable and tragic way, a struggle for Ukrainian independence, finally achieved in 1991, was an inspiring idea to generations of freedom fighters and, simultaneously, the target of hatred of those who have imperialist designs for Ukraine. On 30 of June of 1941, following the German invasion of the Soviet Union, OUN proclaimed the restoration of independence of Ukraine. This act represented a clear challenge to racial and expansionist plans of Hitler, which, in turn, wanted to convert Eastern Europe into a huge Germanic empire. Therefore, the German authorities demanded that the leaders of OUN abdicate its purpose, and at the refusal, unleashed a campaign of violent repression, forcing the independence movement to go underground and fight against the two occupying powers in Ukraine: the Soviets and the Nazis. In July of 1941, Stepan Bandera was arrested and sent to the concentration camp of Sachsenhausen, where he remained until October 1944. Two of his brothers were deported to the extermination camp of Auschwitz, where they was brutally murdered. In the ravine of Babi Yar in Kyiv, alongside with thousands of Jews, were also murdered hundreds of militants of the OUN. 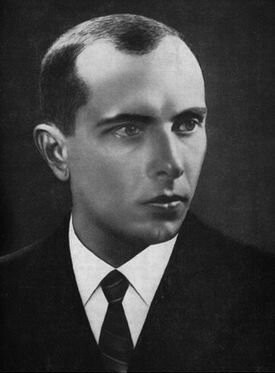 Stepan Bandera himself also met a tragic end, when he was murdered in 1959 in Munich, victim of a secret agent of KGB. There is evidence that the movement of Bandera prepares a revolt in Reichskommissariat, whose aim is to create an independent Ukraine. All members of the movement of Bandera should be immediately arrested and, after a thorough interrogation, secretly wiped out like bandits. In fact, what occurred was a brave and determined resistance of the independence movement against the violence used by totalitarian powers who wanted to order the Ukrainian nation to the slavery and extermination. We, Ukrainians who came to Portugal in search of work and a better life, we have been committed to contributing to the progress and welfare of the host country. Many of us have chosen Portugal as their second home, receiving, therefore increasing visibility and relevance to our civic integration. Therefore, in the dual capacity of Ukrainian and Portuguese fellow citizens, is urgent to repeal section 20 of the European Parliament resolution of 25 of February of 2010, in which the National Hero of Ukraine is unreasonably accused of cooperating with the Nazi tyranny. It is a moral imperative to recognize Stepan Bandera not only as a figure in the history of Ukraine, but also the universal fight for freedom and human dignity. Open Appeal from Ukrainians to the Members of European Parliament with regards to the defamation of Stepan Bandera in the text of the Resolution of the European Parliament on the Situation in Ukraine from February 25, 2010.